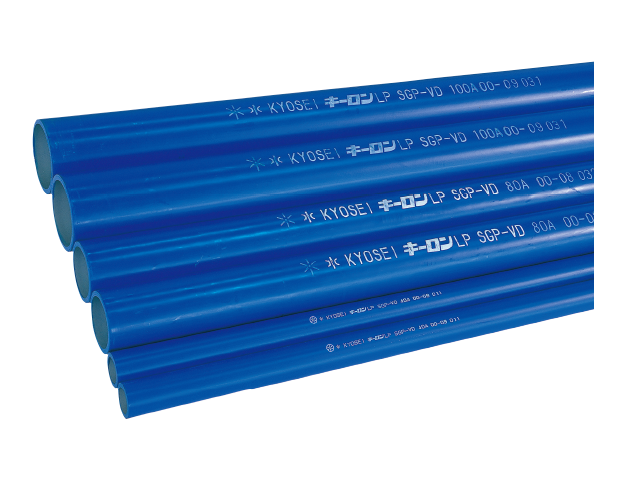 Water supply piping material made of JIS G 3452 steel pipe with its inner/outer surfaces coated with hard PVC. Excellent corrosion, chemical, and insulation resistance. Small friction resistance of PVC inner lining eliminates changes to flow rate.